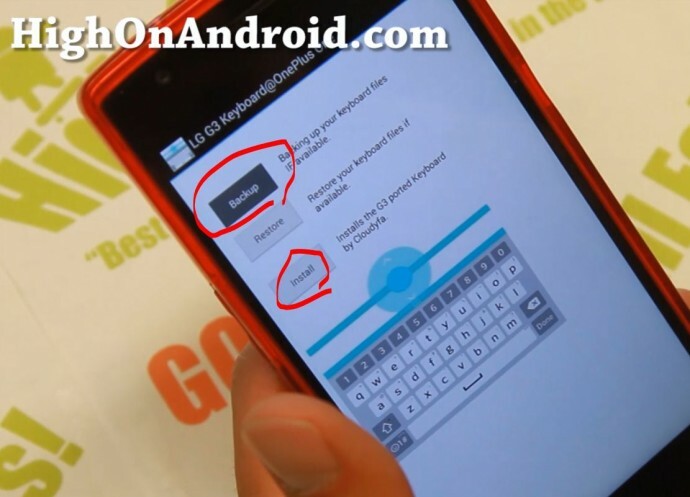 How to Install LG G3 Keyboard on Any Rooted Android! LG G3’s keyboard is touted in Android world as one of the better keyboards you can use as it comes with ability to resize your keyboard (which can be good for making the keyboard size exactly the you want it, works great for larger-screen phones) and support for Swipe out of the box. If you have LG G3, you know how good the G3 keyboard is and believe me, I think that’s actually one of the best features on the LG G3 as I use my G3 as daily driver and LOVE the keyboard. But what about if you have another Android smartphone like OnePlus One or maybe Note 3? 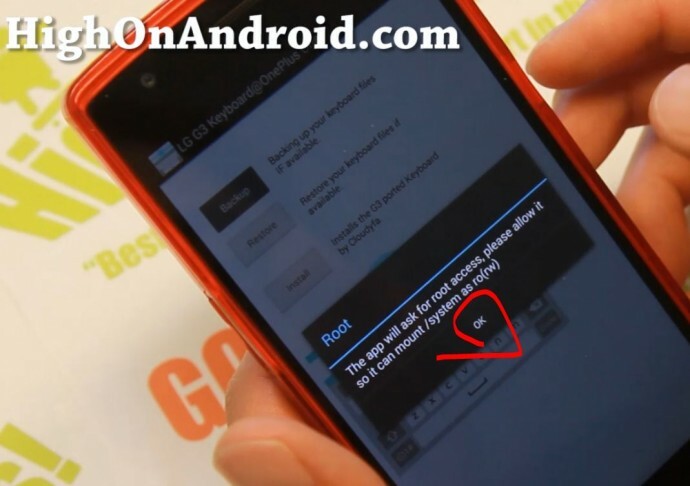 Thanks to XDA user Hamidibahram, there’s an easy way to install LG G3 keyboard on any rooted Android smartphone or tablet. 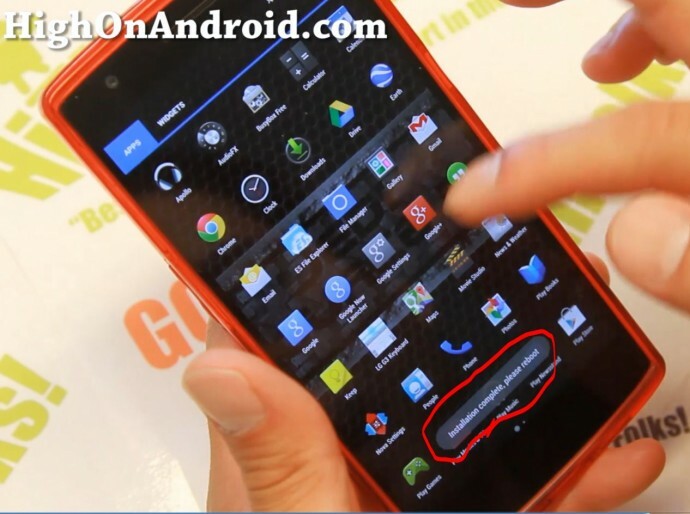 First, you will need to root your Android device, see How to Root Android first. Step 1. First, download the LG G3 Keyboard installation APK file. Then you should be able to press on the downloaded file to install. If you get errors, try using ES File Explorer app from Play Store to install the app. If you get security error, just hit the Settings button and enable “Unknown Sources” then try again. Make sure you hit “Accept” if you get a Google warning message. Step 2. 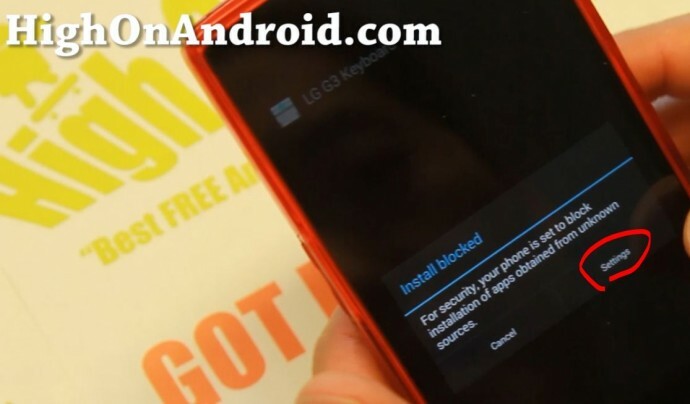 Once you have the LG G3 Keyboard installation app installed, install Busybox app from Play Store. Step 3. Run the BusyBox app and verify you have busybox installed. If you don’t, simply press “Install” button to install Busybox. Step 4. Run the LG G3 Keyboard app. Make sure to hit “Grant” or “Allow” when Superuser request window pops up. Step 5. You can make a backup of your current keyboard files just in case something goes wrong. If something goes wrong, you can re-run this app and restore keyboard files. Once done backing up, hit “Install” to install LG G3 Keyboard! Step 6. Once done installing, reboot your Android device. Step 7. Go into Settings->Language & input then set default keyboard to “LG Keyboard” and also make sure “LG Keyboard” is checked on like below. Step 8. Enjoy your new LG G3 keyboard! Step 9. If you want to re-size the height of the LG G3 keyboard, go back into settings and press on the settings icon by “LG Keyboard”. Here, you will be able to adjust the keyboard height and also customize the settings to your liking. That’s it! Enjoy! Credits – XDA <— Please donate to the developer of this app or hit Thanks button on XDA if you like it, thx! Hi Max. I followed your video but for some reason i keep getting a message that says unfortunate ASOP keyboards has stop. Its there something i am missing? I did everything our says on the video. I installed this keyboard on my AT&T Note 3 and it works great, but now my Action Memo and S-Pen input won’t work. I’ve tried loading up the LG G3 keyboard installer again to restore my backup keyboard files, but the Restore button is grayed out. I am running the latest Alliance Rom on Safestrap. Please help me fix this, I use SPen all the time. I was able to get Action Memo and S-Pen Input working again by uninstalling the LG G3 Keyboard via Titanium Backup. wont install on my s2. Garbage, Made my spen force close even after a factory reset. I am stuck trying to get rid of it or have to flash it back to stock via odin. I even backed up in the app before hand in case this would happen and it won’t let me restore it. How do I get spech to text, if poseable. Installed, works great. Only issue..in your video the numbers are on top which I like. In the one I installed I have to hit a button to get to the numbers. How can I place them on the top of the keyboard visible as yours? I have the same problem. Somebody have a solution ? Thanks bro, it works perfect on my Note 3 AT&T N900a! Also G3 here with Cm12 and same issue. Next story How to Remove AROMA Installer from ROM zip file for Safestrap! 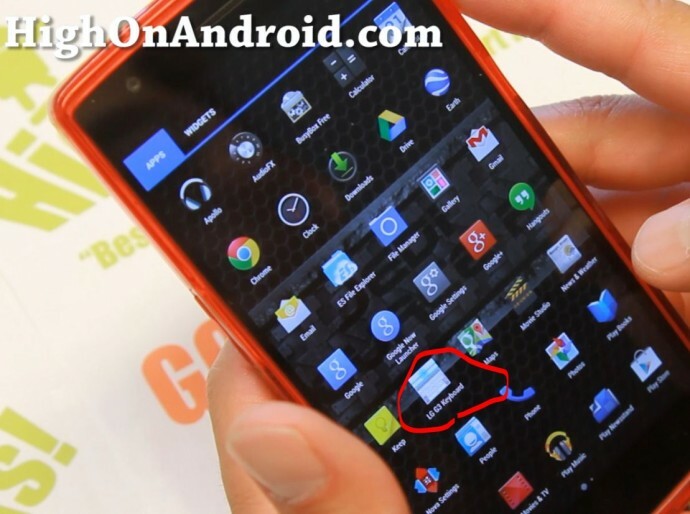 Previous story How to Get S-OFF HTC Smartphones using Firewater!